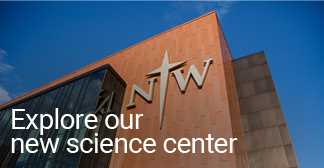 The scholarly work of 93 Northwestern College undergraduate and graduate students will be on display during the college’s Celebration of Research on Thursday, April 12, from 11 a.m. to 1 p.m. in the Rowenhorst Student Center. The public is invited to attend. Students from a wide variety of majors have produced 33 individual and group research presentations under the mentorship of faculty. Among the topics are “The Art of Costume Design for Tina Howe’s ‘Museum,’” “Effects of Upper Elementary Grade Reading Buddies on Literary Skill Concepts Development in At-Risk Preschool Students,” “Limited Atonement in 1 John 2:2,” “The Effect of Inter-Health Care Facility Patient Sharing Networks on Clostridium Difficile Infection Rates,” “How to Help Non-Profit Hospitals Serve Better,” “Mentalizing and Mysticism: Do Theory of Mind, Absorption and Mysticism Predict Religious Belief and Prayer Intimacy?” and the results of Northwestern’s unique SEA-PHAGES biological research.